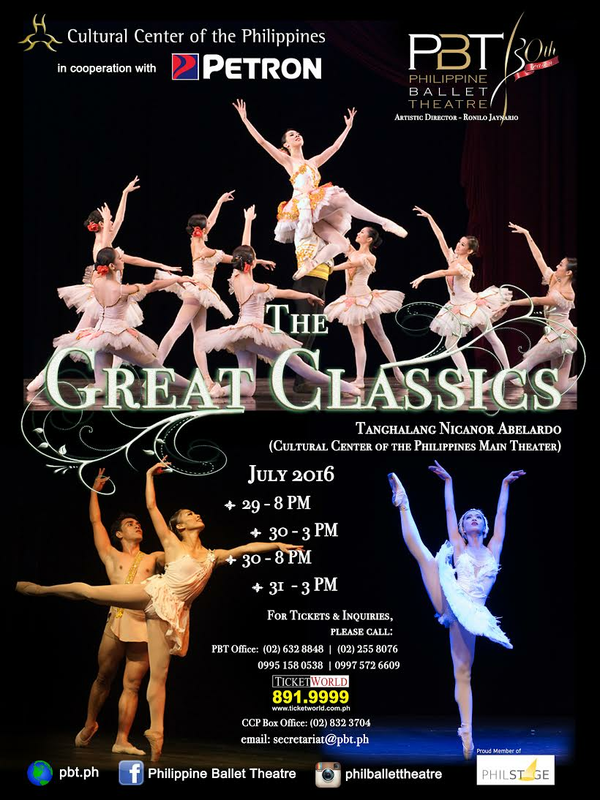 By popular demand, the “Golden Boy of Ballet”, Joseph Phillips, will return to Manila from Russia to perform the role of the Nutcracker Prince, partnering PBT’s home grown ballerinas, Lobreza Pimentel and Regine Magbitang who will take on the roles of Clara and the Sugar Plum Fairy. The classic favourite returns! 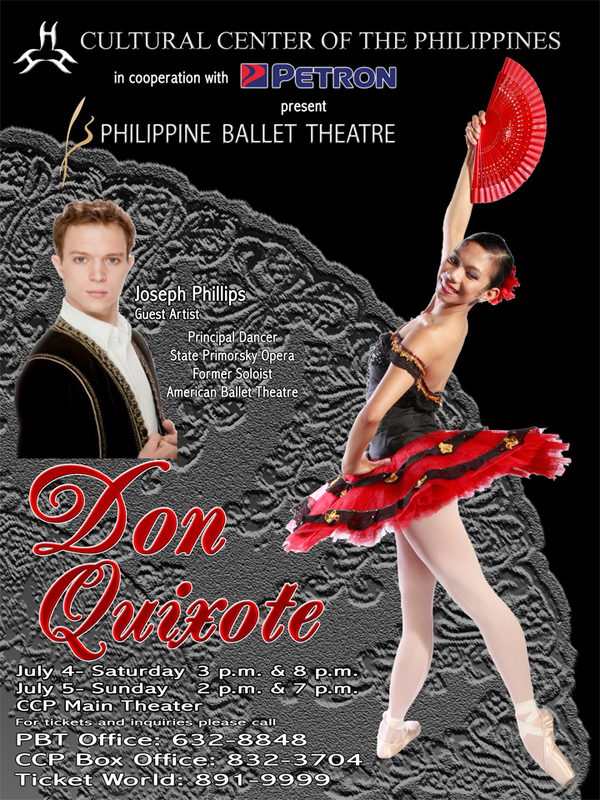 Don Quixote features some of the most virtuosic dancing in the classical repertory. Don't miss the funny and romantic ballet critics call "a collection of 'tales of the lovelorn' translated into eye popping episodes of passion and frivolity, intimacy, and spectacle... an impossible dream come true." 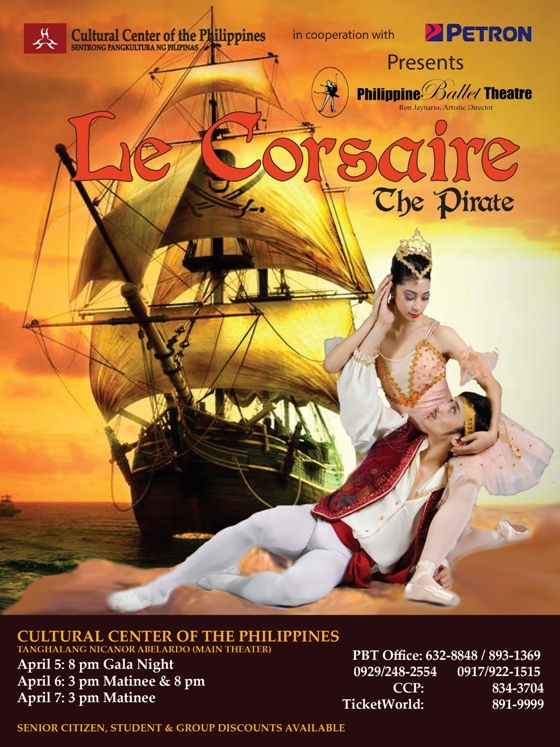 Le Corsaire (The Pirate) follows the escapades of a dashing pirate, Conrad, who journeys across the high seas to save his beautiful harem girl, Medora. It is a swashbuckling fantasy tale of captive maidens and cutthroats, love and betrayal. 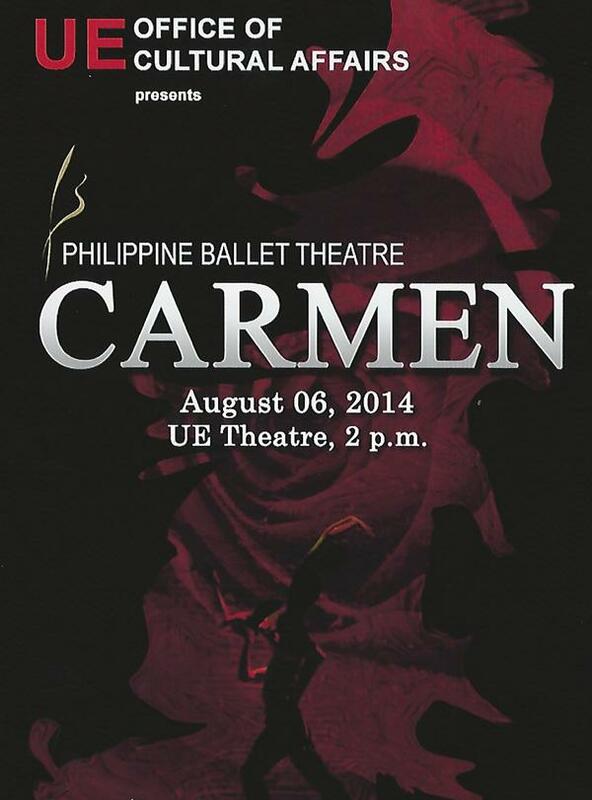 The story of Carmen can leave you breathless. The passion, the drama, the love, the tragedy combine in such a way that one's heart feels as though it might stop at any moment from sheer anticipation.